Randall W. Engle is currently Professor of Psychology at the Georgia Institute of Technology, where he also serves as the current and founding Director of the GSU/GT Center for Advanced Brain Imaging, as well as the Editor-in-Chief for the Association for Psychological Science’s journal, Current Directions in Psychological Science. He has been previously and frequently honored by the field for his scientific achievements in the study of cognitive individual differences, as a Fellow and President of the American Psychological Association’s Division 3, a Fellow of the Association for Psychological Science, a Fellow of the American Association for the Advancement of Science, a Member of the Society of Experimental Psychology, a Chair of the Governing Board of the Psychonomic Society, and as a Chair of the Executive Board of the Council of Graduate Departments of Psychology. 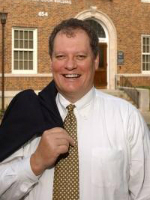 Moreover, Randy has been repeatedly recognized by his academic institutions for excellence in teaching, including the Ace Teacher Award, the Amoco Award for University Teacher of the Year, the Mortar Board Excellence in Teaching Award, the South Carolina Governor’s Professor of the Year, as well as recognition as a Distinguished Honors College Professor. Randy grew up in rural West Virginia. He was the first member of his family to attend college (and, on one side, the first to graduate from high school), earning a BA degree in psychology from West Virginia State College, a field he had never even heard of before a fellow student mentioned it during a freshman orientation course. Having eventually logged nearly as many credit hours in zoology and mathematics as in psychology, Randy was drawn to the experimental study of thought and behavior and was admitted into Ohio State’s graduate program to work with D. D. Wickens, where he earned his Ph.D. in 1973. A two-year stint at King College in Tennessee allowed him – if not forced him – to hone his skills in the art of teaching, as he was responsible for 10 courses per year. Taking advantage of his assignments to teach a senior research seminar each semester, and of a research infrastructure consisting entirely of a tape recorder and slide projector, he published several papers on modality effects in short-term memory. This work caught the eye of the University of South Carolina, who hired him in 1974, and promoted him to Associate Professor in 1978 and to Professor in 1983. In 1995, Randy was hired away, as Chair of the School of Psychology at Georgia Institute of Technology. He served in that position for 13 years, at which time he returned to “civilian” faculty life at Georgia Tech (while also founding a joint brain-imaging center with Georgia State University). We honor Randy now for the highly influential research for which he is best known, on normal individual differences in working memory capacity and their associations to domain-general, fluid aspects of complex cognitive ability. Randy’s work is particularly valued for taking a converging-operations approach to the study of working memory, harnessing the strengths of laboratory-experimental, psychometric, developmental, intervention, neuroimaging, and behavioral-genetic methods, often in combination with one another. That program of work has now demonstrated convincingly that working memory capacity tasks, or so-called “complex span” tasks, assess a cognitive-processing system at the intersection of attention control, primary memory maintenance, and secondary memory retrieval, and that this system is fundamental to a wide range of important cognitive and behavioral outcomes, such as language comprehension, skill and knowledge acquisition, problem solving, reasoning, and self-regulation and control. Randy’s empirical findings and his theoretical claims have had both deep and broad impact. The depth of his impact is evident by his work’s publication in cognitive psychology’s strongest scientific journals and book series and its discussion in numerous introductory cognition textbooks. The breadth of his impact is reflected in his work’s funding by numerous federal agencies (across the National Institutes of Health and the Departments of Defense), as well as his tens of thousands of scientific citations in not only top-tier journals of cognitive, social, clinical, health, and developmental psychology, but also in premiere outlets for research in neuroscience and physiology, education, anthropology, gerontology, entrepreneurship, and ergonomics. We also honor Randy for his tireless mentoring of the next generation of psychological scientists. While he has spearheaded the enormously influential research described above, he has also mentored (with similar care and pride to parenting his two now-grown children, Holly and Matt) a long line of grateful undergraduates, graduate students and post-docs, many of whom have gone on to considerable scientific and pedagogical success in cognitive psychology, cognitive neuroscience, quantitative methods, and beyond, teaching and conducting psychological research as faculty members at a remarkably diverse, multi-national collection of institutions, such as Indiana University-Purdue University Columbus, Kenyon College, Maryville College, Michigan State University, Princeton University, University of Burgundy, University of California at Irvine, University of Denver, University of Edinburgh, University of Illinois at Urbana-Champaign, University of North Carolina at Greensboro, University of North Carolina at Wilmington, University of Oregon, University of Texas at San Antonio, University of Ulm, Washington University, Weill Medical College of Cornell University, Winthrop University, and Wichita State University. * The FABBS Foundation would like to thank Dr. Nelson Cowan, Dr. Andrew Conway, Dr. Michael J. Kane, Dr. Nash Unsworth, and Dr. Paul Verhaeghen for nominating Dr. Engle for this honor and for leading the effort to spread the word about his nomination. Would you like to honor Dr. Engle? It’s not too late to have your name added to the list of donors! You can make your donation to Dr. Engle’s In Honor Of… campaign at anytime.